Our Annual Football Camp will be held in Midleton GAA Club on July 20 and 21st. It is open to boys and girls. It will run from 10am to 1pm each day. The cost is €10 per day and your child can attend one or both days. Please contact Tracy on 087-6625544 for more details or text your Childs name and age to the Club Phone on 087-3481925 to book a place. 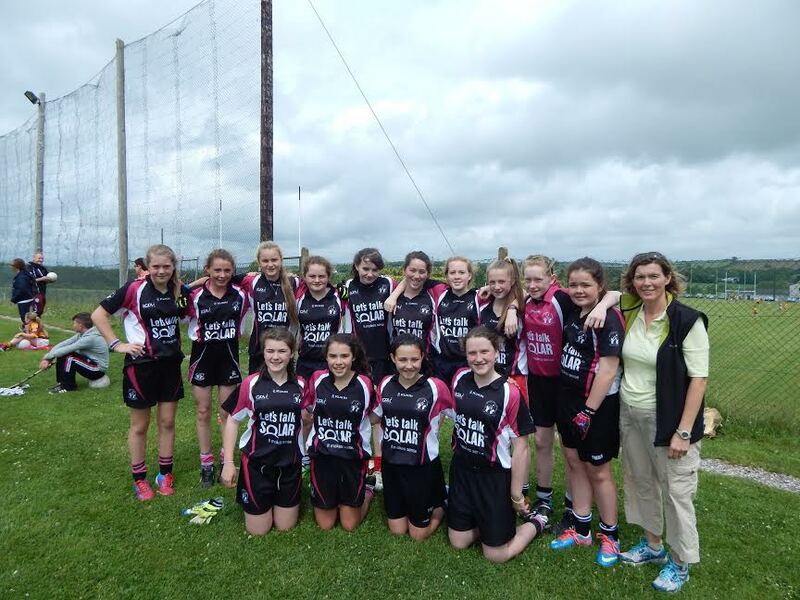 Our U14 girls were invited to play in a blitz hosted by Lisgoold on Saturday 27th last. The girls played some fantastic football winning 2 of our 3 games. Unfortunately Youghal beat us in the third game and Youghal then went on to beat Cloyne in the final. Some of our girls picked up injuries we wish them a speedy recovery. Midleton Ladies Football would like to thank Lisgoold/Lemlara Ladies Football for their hospitality on the day. Match 3 v Youghal: 1-01 to 2-02 ( Youghal Win). Our Junior team had their first outing on Wed July 1st at St Colman’s Community College in their first round which saw them lose out to St Val’s. A hard fought game girls. Keep up the great work being put in at training. Training continues for all ages at Midleton Rugby Club on Mondays nights @ 6.30.